Southern Brittany is not entirely unlike the feel you get in many parts of West Cork: it’s a little balmier than the rest of the country; there are many villages and peninsulas to discover in amongst its broken countryside; the food produce is superb. The town of Auray is almost on the coastline just to the west of the Gulf of Morbihan – an almost enclosed lagoon where the water temperature heats up nicely for summer-time swimming. Many Irish holidaymakers will be familiar with the likes of Carnac nearby. 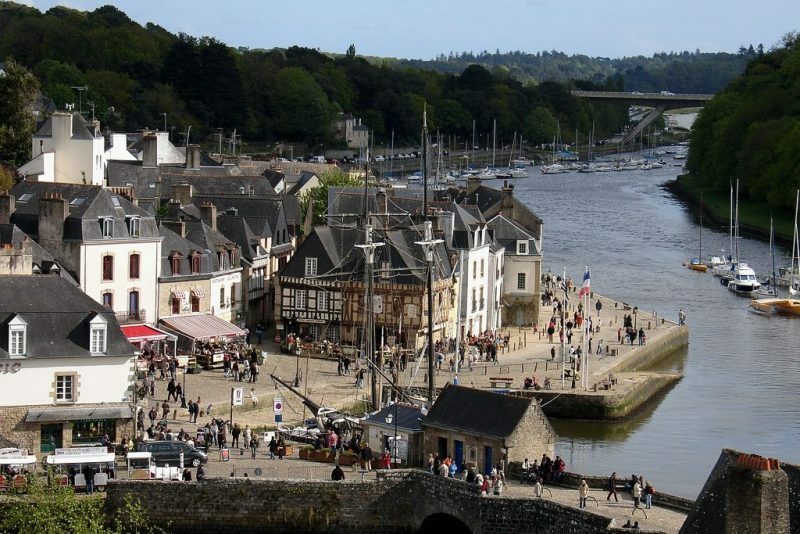 Auray is the main market town serving Carnac and other coastal communities in the area. There are three outdoor markets and one indoor market. The principal outdoor market runs every Monday throughout the year from 08:30 until 14:30 (or until 14:00 if you happen to be here off-season October 1st until May 31st), usually occupying Place Maréchal Joffre and Place de République, spilling into all the streets in between. It’s a great one to ramble about in – a market that feels more chaotic than it actually is and which sells all sorts of items from fresh food to bric-a-brac that you might be tempted to take back with you in the car. We ended up with a couple of timber seagulls from a visit ten years ago and they still make me smile. As well as the main market, there is a Friday morning Local Produce Market on Place Notre Dame from 08:00 to 12:30. It’s a far more concentrated affair, limited to just 20 stallholders selling only local foodstuffs and some local artisan products. The third market is billed as a Bio Market on Place Notre Dame every Thursday evening from 17:00 to 20:00, dealing in things green and bio as defined by the local council. The indoor market is in the large building knowns as “Les Halles” just off the Place de la République. This is a noisy busy space, full of fresh food of all sorts – a great place for oysters and every other kind of seafood, it’s open every day except Sunday from 06:30 until 13:00. It’s important not to miss the real treat, however. Once you’ve finished with the market, leave Place de la République, walking down along Rue du Château and across the mediaeval bridge to the irresistible port of St Goustan. This really is the sort of place to sit and have a bite to eat or a drink, admiring the gorgeous situation in the sheltered little harbour and the activity that centres around a square that slopes into a wide slipway. And if you arrive here on a Sunday during summer, you’ll also have yet another market – a local artisan market. Previous Previous post: Features: Café, Monsieur? A marvellous spot. We also ‘discovered’ the St Goustan bit as well. Beautiful area. Nice article.